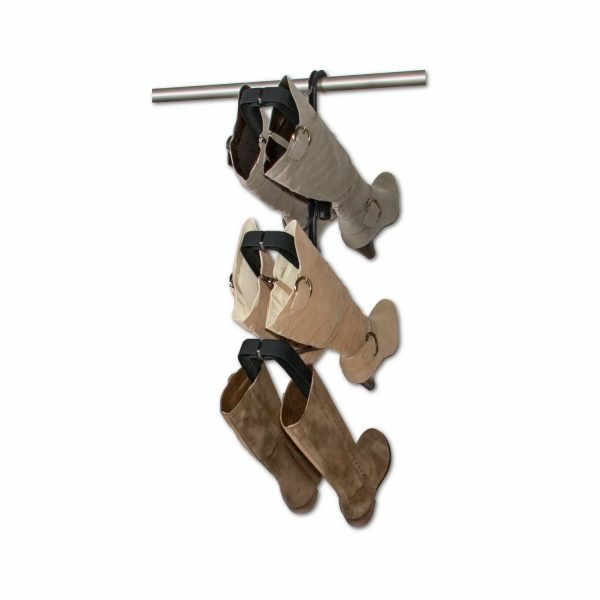 The Boot Butler 3-Pair Hanging Boot Rack is a boot storage solution that organizes your boots in your closet and keeps them looking brand new for years. 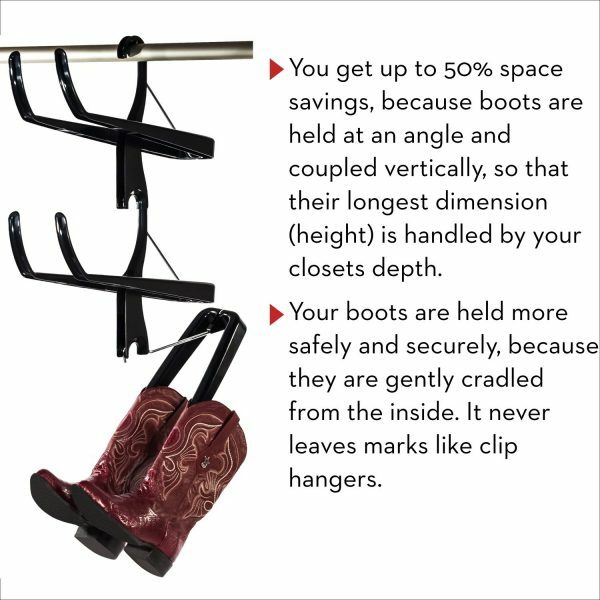 Its patent-pending modular design and solid construction holds 3-pair of your favorite boots to protect their shape and keep them organized. 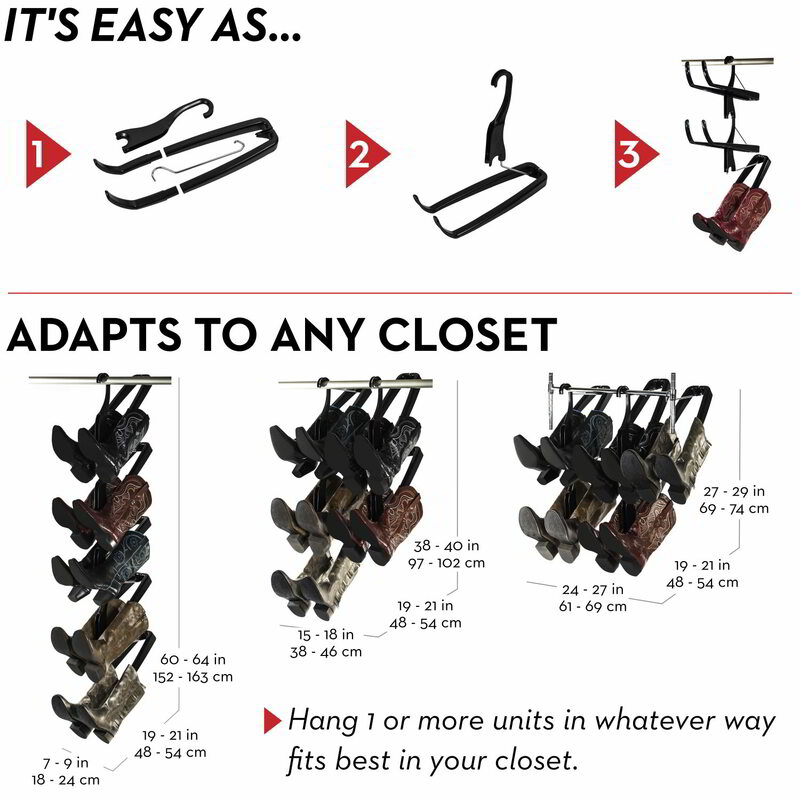 The 3-Pair Hanging Boot Rack has the same simple set up as the 5 Pair Hanging Boot Rack. 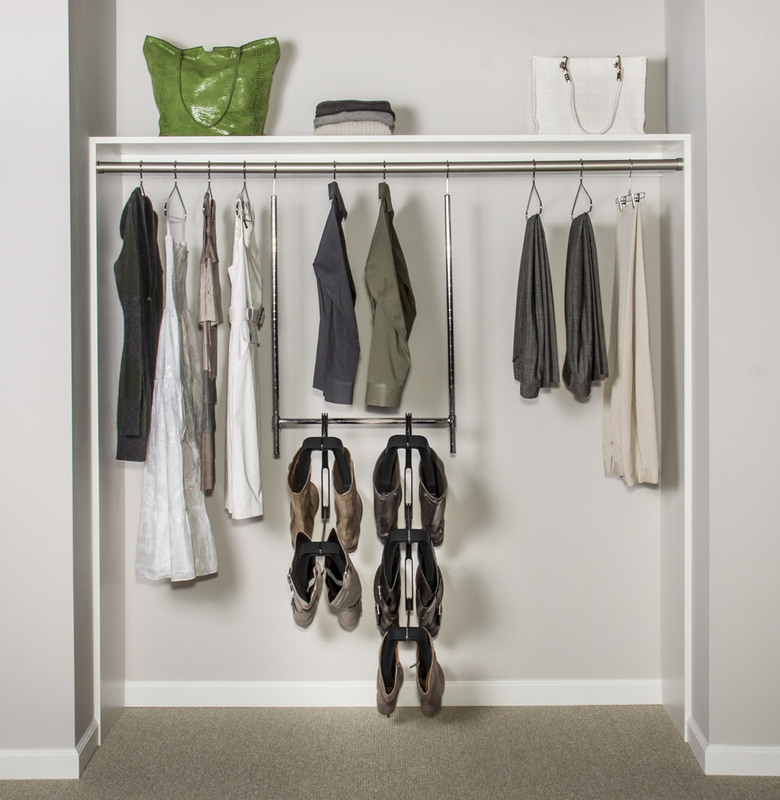 No tools or hardware required. 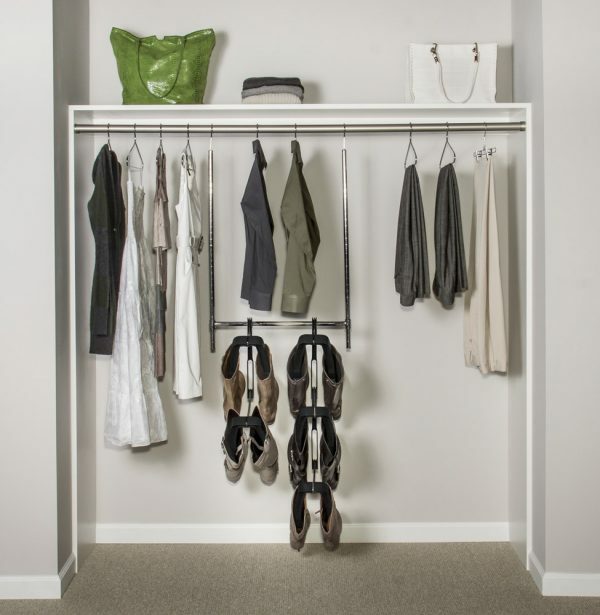 Just snap the hanger and chrome hook into place, hang it up and start using. 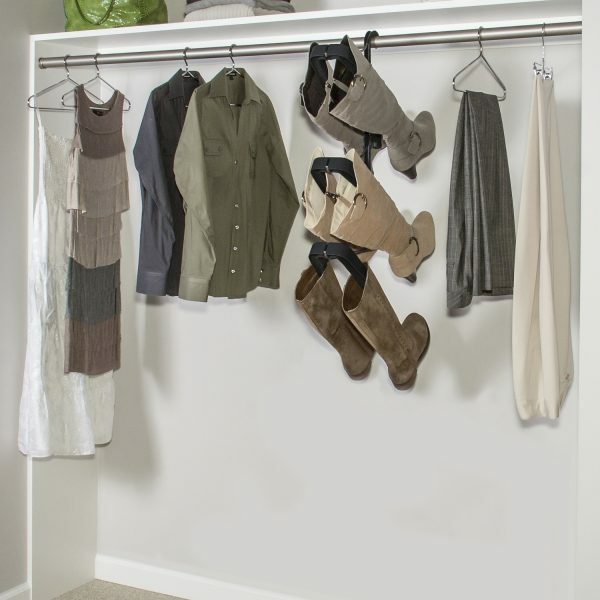 The 3 Pair Hanging Boot Rack takes up minimal space for maximum organization. Store your boots while keeping them perfect and organized in under five minutes. 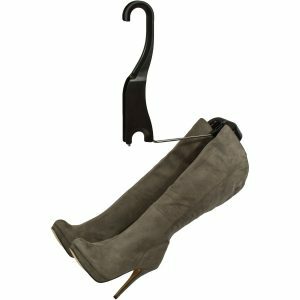 Whether for work, play or a night on the town, a nice pair of boots represents a significant investment. 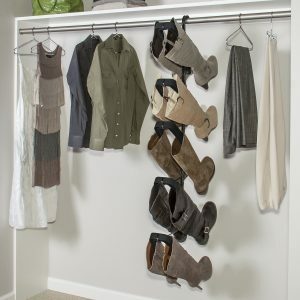 Even more so if you have a large collection or own multiple pairs of the same kind, like cowboy boots. 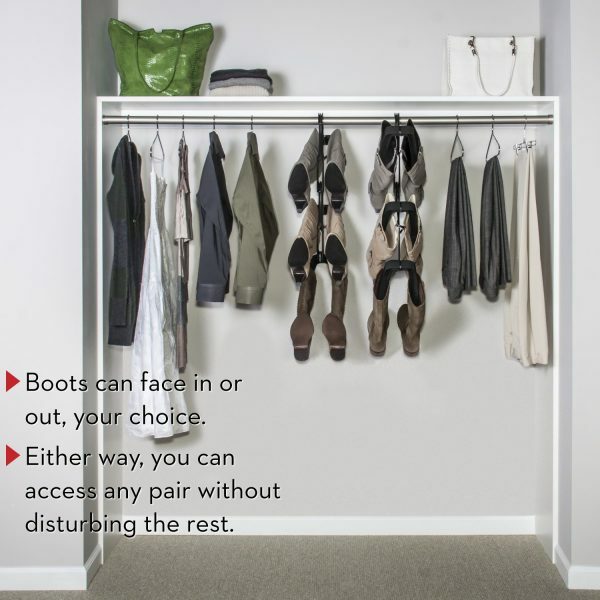 Without a proper boot storage solution, a fair number will end up in a pile on your closet floor – not the best environment for common boot materials such as leather or suede. Boot Butler Hanging Boot Rack helps you avoid the creasing, scuffing and tearing that can happen in those messy mounds. But it’s not just damage and wear. A cluttered pile of boots can make finding the right pair a chore. 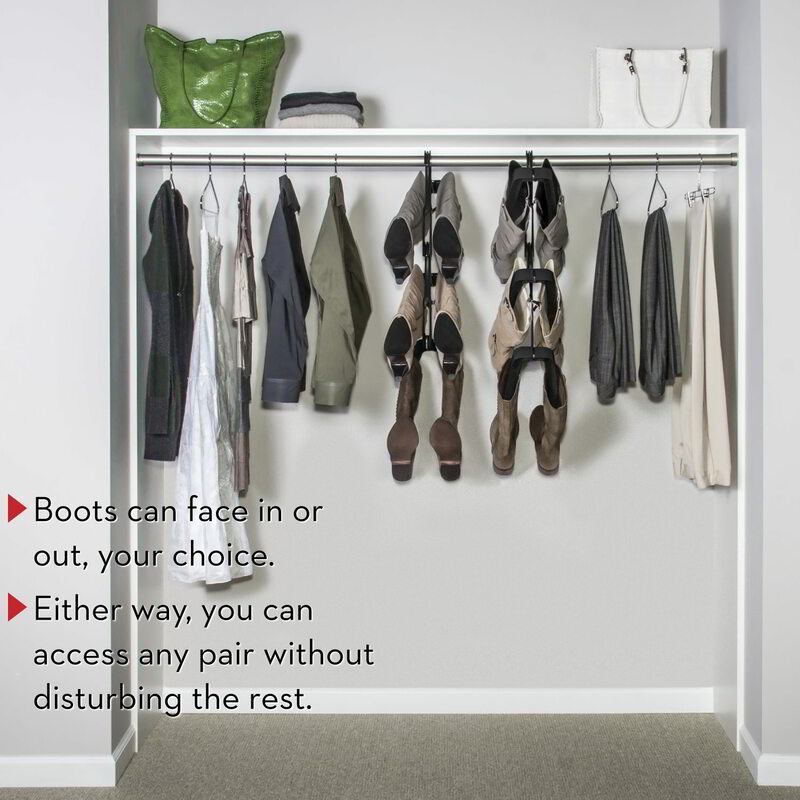 And if you’re in a hurry, you want to be able to grab what you need and go. 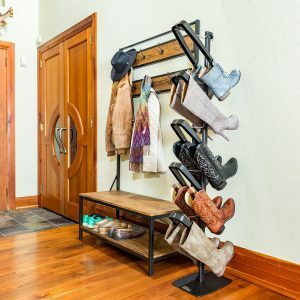 Boot Butler Hanging Boot Rack stores your boots where they belong: off of the floor and secured on a custom-designed, modular hanging boot rack. 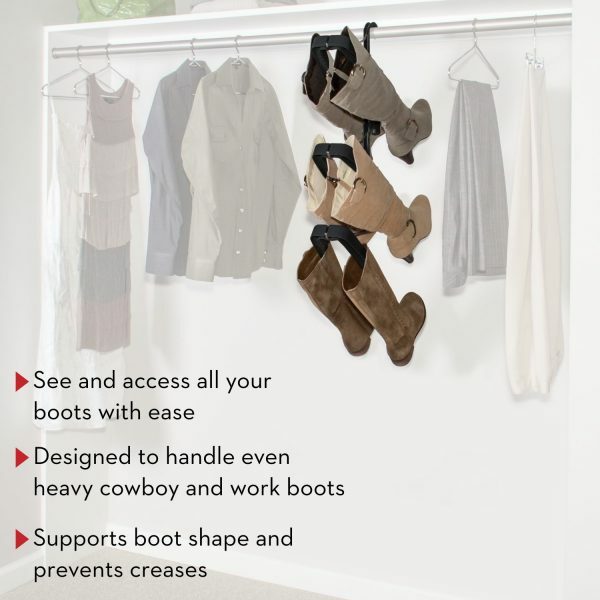 Now, you can keep your boots looking brand new while keeping your closet organized. Not the right size? See our 1-pair hanging boot rack and add-on kit, 2-pair hanging boot rack, 5-pair hanging boot rack and Standing Boot Rack.